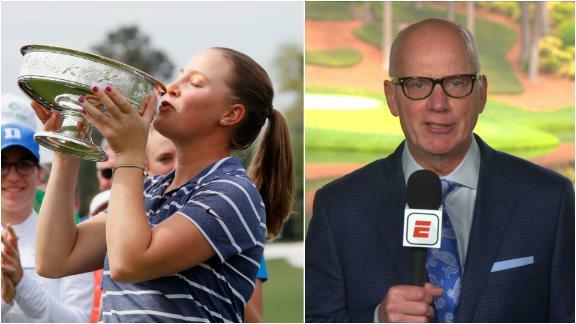 Gene Wojciechowski breaks down the significance of top-ranked amateur Jennifer Kupcho's victory at Augusta National. AUGUSTA, Ga. -- The charge on the back nine at Augusta National was among the best, this one by a woman. The Wake Forest senior closed with a 5-under 67 for a 4-shot victory over Maria Fassi in the inaugural Augusta National Women's Amateur. 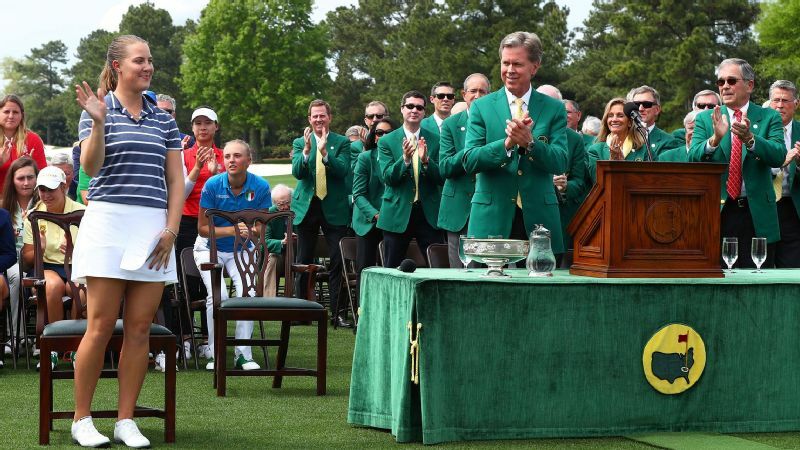 "You're now part of the history at Augusta National," club chairman Fred Ridley told her in Butler Cabin, where Masters champions receive their green jackets. 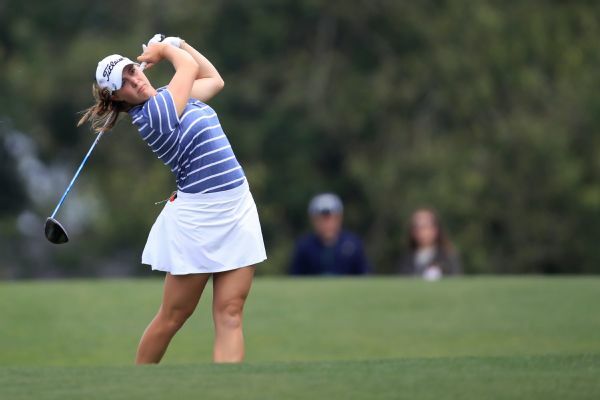 "Just to play here at Augusta and have that kind of treatment, I think the women's game is really going to come out stronger," she said, adding later that "there's no bigger stage than this for amateur golf." Kupcho, the No. 1 player in the women's amateur ranking, finished at 10-under 206 and won a silver bowl as the trophy, along with a piece of crystal -- another Masters tradition -- for making the only eagle of the tournament. Jennifer Kupcho became the first woman to win at the home of the Masters. Fassi, who started 1 stroke behind, took her first lead with a pitch over the mounds to 2 feet for birdie on the par-5 eighth. Kupcho had reason to believe she was in trouble when a migraine surfaced, causing vision so blurry that she couldn't see the line she marks on her ball while putting. She three-putted the 10th to fall 2 strokes behind, and sat on a bench at the 11th tee to gather herself.